Assistant Professor Thomas Wu joined the Economics department at UCSC in 2006 after completing his Ph.D. at Princeton University. 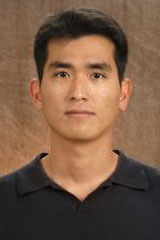 Assistant Professor Thomas Wu joined the Economics department at UCSC in 2006 after completing his Ph.D. at Princeton University. His research focuses on major puzzles within the field of international finance. Puzzles are situations where the real world observations appear inconsistent with the predictions of prevailing economic theories. Professor Wu’s work examines how and why these puzzles occur in our empirical observations. For instance, he has focused on the way investors collect and process information, as this can have huge implications for how investors judge the risks and payoffs of an asset. Professor Wu has used internet search results data to show how websites like AOL and Google can influence asset pricing and portfolio allocation decisions. Specifically, he has documented that a stock which receives an abnormal volume of Google searches from locals experience an abnormal increase in its share price over the next four weeks. Additionally he has examined how geographical factors of local versus nonlocal factors play into how investors interpret cyclical news (economic downturns and upturns), as well as how they react to good versus bad news. By examining investors’ use of internet search tools, we can better understand how they actually make financial and investment judgments. Professor Wu is also interested in risk. Financial markets and policy makers can serve as a conduit for systematic risk, a fact illustrated by the 2008 financial crisis. Financial markets amplified the U.S. housing downturn and a housing bubble was transformed into a financial meltdown that saw a freeze in capital markets and the calcification of liquidity. In his research, Professor Wu has shown that macroeconomic policies designed to curb financial risk not always make financial markets more stable. In some cases, daily fluctuations may become less volatile, but at the cost of increasing the frequency of outliers. Professor Wu took a two year leave of absence from UCSC to work with a hedge fund in his native Brazil. His work there helped him gain real world experience with financial markets and policy makers. His experience in Brazil highlights the increasing necessity to become multicultural in an increasingly globalized world. Variants in culture cause foreign investors and policy makers to view and assess the world in different ways. This is important in trying to understand how the international investors move capital from country to country. Following his Brazilian ventures, Professor Wu returned to teach at UCSC in 2010 and published a book that outlined the Brazilian economic transformation in the globalized world. Professor Wu has taught a number of courses including, Intermediate Macroeconomics (ECON 100B), International Financial Markets (ECON 131), and Advanced International Finance II (ECON 241B). By applying real world problems and issues to the theoretical approaches in class, he ensures that students are involved and engaged. He greatly enjoys teaching and wholeheartedly encourages students to assist faculty members in their research. Professor Wu has worked with a number of undergraduate students on research projects that have helped these students to gain applied and technical skills that are not available inside the classroom.